When my husband and I decided to drive to Florida this past spring one of the things that kept us sane during the two and a half day road trip was the Littlest Pet Shop app on our iPad and a Littlest Pet Shop DVD. Littlest Pet Shop is great for children who love pets. The pets featured in Blythe Baxter’s pet shop are colourful, animated and can really sing. On June 4, 2013 California’s Shout! 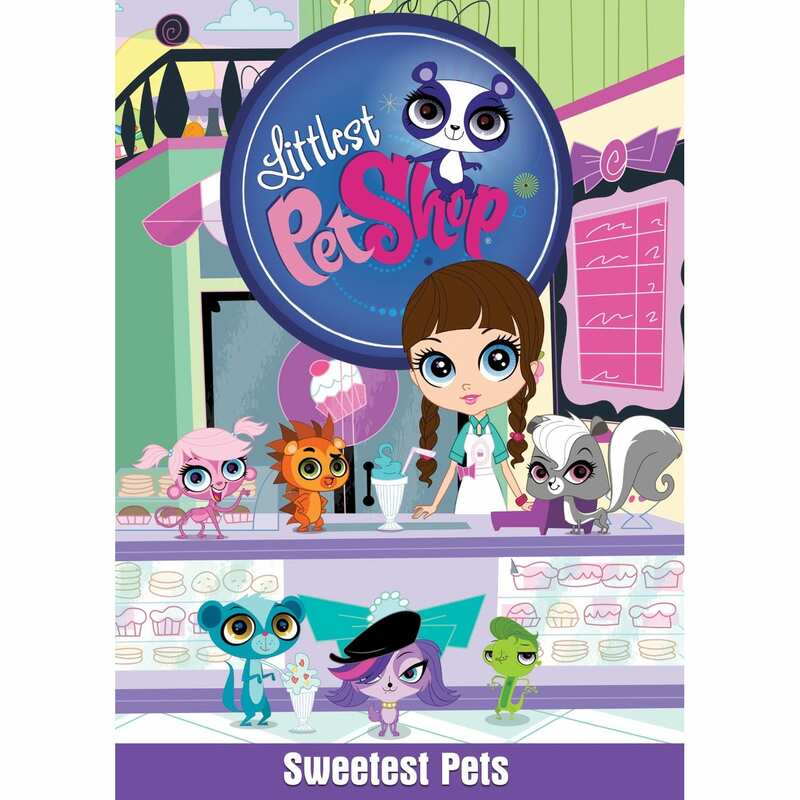 Factory Kids, in collaboration with Hasbro Studios, will release the newest Littlest Pet Shop DVD Littlest Pet Shop: Sweetest Pets. I was lucky enough to be given an advanced copy, which my daughter could hardly wait to watch. So, on a rainy afternoon we cuddled on the couch and watched all five episodes together. The DVD is 110 minutes in length, but when finished only feels like a few minutes. The five new episodes o n the DVD feature all the regular stars of the Littlest Pet Shop including Pepper the skunk, the mongoose named Penny, Russell the panda, Zoe the spaniel, and Minka, the much-loved monkey. The first episode entitled, Topped with Buttercream, was by far my daughter’s favourite. Not only did she laugh when Blythe thought her pets were stolen, she loved that the pets share her love of sweets and had really just escaped to visit the sweets shop next door. All five episodes are fun, colourful and contain catchy songs that will not only have your kids up and dancing, but will have you singing along as well. Littlest Pet Shop: Sweetest Pets features original music by Daytime Emmy® Award nominee Daniel Ingram as well as some memorable vocal talent. And the fun doesn’t end once the show is over! The DVD also includes a bonus colouring sheet giving fans the ability to colour the pets many different fun colours. Littlest Pet Shop: Sweetest Pets is sure to captivate the hearts and imaginations of children of any age. Its bright colours, simple yet intelligent story lines and catchy music is sure to make this DVD a classic in any household where there’s a Littlest Pet Shop fan. For more information on Littlest Pet Shop products visit their website at http://www.hasbro.com/littlestpetshop/en_CA/ or for more information on ordering a copy of Littlest Pet Shop: Sweetest Pets visit www.shoutfactory.com and be sure to look for the DVD in stores June 4th. Note: I was given a copy of Littlest Pet Shop: Sweetest Pets free of charge in exchange for my review, but the thoughts expressed here are my own. this was a great watch ! !